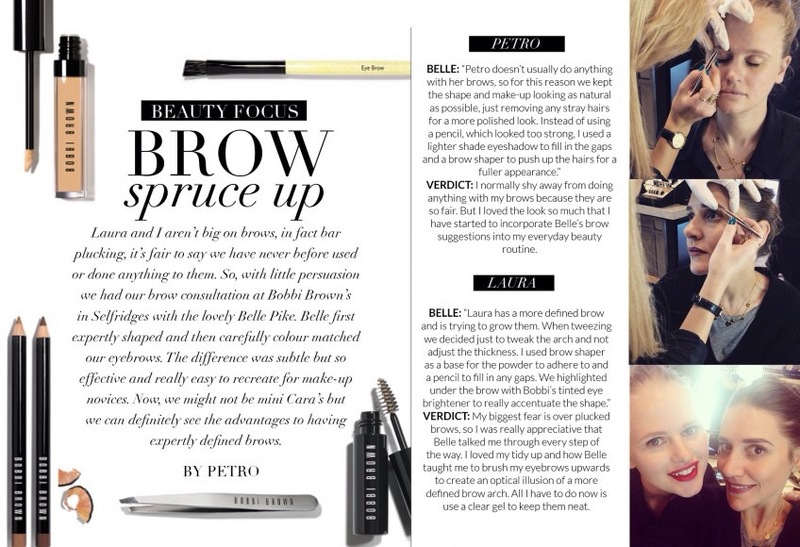 I had a recent visit from Laura & Petro from over at wardrobeicons at my workplace, Bobbi Brown’s counter in Selfridges. Wardrobe Icons, which released their first edition of the online magazine in October 2014 does exactly what it says in the name. These ladies have years of experience in the fashion world having worked for Look and Red magazine along others. Why would you not want to listen to what they have to say about selecting those ultimate classic pieces for your wardrobe that are the lifetime investments, timeless staples and treasured pieces that you will inevitably one day hand down to someone very special. This site cuts to the chase with its expertly edited essentials both fashion and beauty (the beauty selection rocks!) alongside its weekly magazine.